ARCATA – The drama unfolded on the police scanner Monday morning, May 23 at about 8 a.m. A Caltrans employee driving along U.S. Highway 101 at the St. Louis Road Overcrossing observed a suspect tagging a support pillar and called APD on a cell phone. The graffiti witness provided the suspect’s description for responding officers, who sped to the popular traveler camping area. The officers located several people a short distance from the overcrossing. There, 21-year-old Christopher Huizar-Garcia, of Reno, Nevada was positively identified as the suspect and arrested on suspicion of vandalism. During their investigation, additional “tags” were located which led the officers back to those remaining in the group. Twenty-one-year-old Blake Nash of Reno, Nevada was identified as an additional suspect. He was placed under arrest for suspected vandalism and possession of vandalism tools. Sgt. Dave Brown said the two were responsible for the tags “Etch” and “Mock,” with numerous instances of each marring surfaces throughout town. An APD press release stated that the amount of graffiti and the circumstances discovered during this investigation make these incidents a felony-level crime. In documenting the tags for submission of the case to the District Attorney’s Office, the multiple photos and reports filled up a binder. Both subjects were taken into custody for alleged felony vandalism and conspiracy. They were booked into the Humboldt County Correctional Facility. The total cost for repair of the damaged property is not yet known. The graffiti resulting in these arrests consists of possibly hundreds of “tags” placed at various locations in Arcata area. The Humboldt State University Police Department has investigated a number of graffiti vandalism incidents where the same tag had been painted. APD is working to coordinate these incidents and to learn if additional jurisdictions have investigated graffiti vandalism cases involving the same tags. At the May 18 City Council meeting, City Manager Randy Mendosa noted that most of the $14,000-plus in damage to City property so far this year is graffiti. He said he is assembling a “working group of motivated City employees” to contact property owners victimized by graffiti to promptly remove it so that it does not proliferate. “This isn’t an issue of art, this is an issue of destroying property,” Mendosa said. 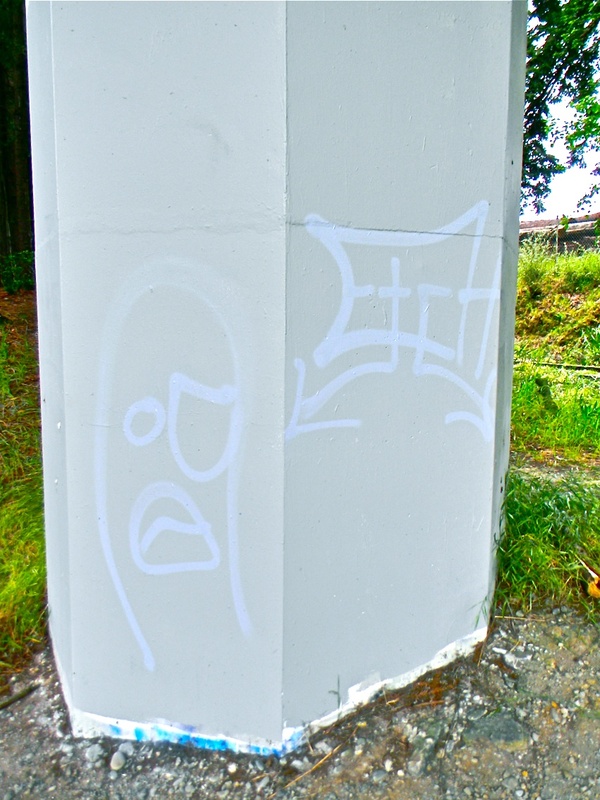 The Arcata Police Department takes an assertive stance on graffiti response and investigation. Community members wishing to report graffiti are encouraged to call the Arcata Police Department’s Graffiti Hotline at (797) 825-2587. If you see someone painting graffiti, call APD at (707) 822-2424. This entry was posted on Thursday, June 2nd, 2011 at 10:54 am	and is filed under News. You can follow any responses to this entry through the RSS 2.0 feed.